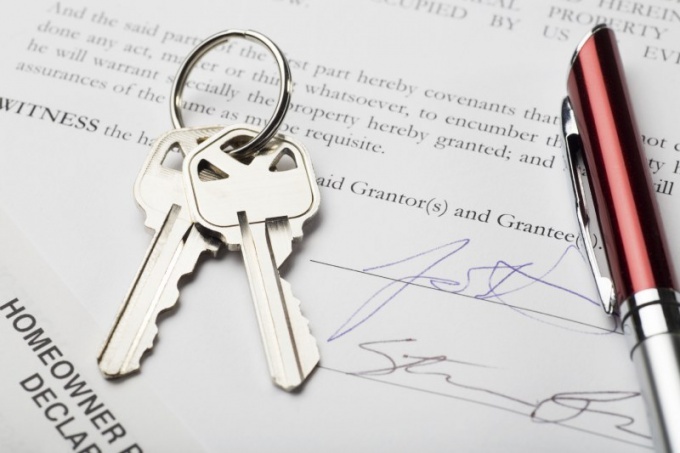 The contract rent of the dwelling is a two – way agreement form, which must be performed each of the parties. Regulated by the hire a number of articles of the Civil code, according to which, regardless of the conditions specified in the contract it can be terminated in a unilateral manner, observing the requirements of the relevant law. - an application to the court (if voluntary agreement could not be reached). You can enter into a contract of lease in writing or at the notary office, regardless of that it will have equivalent legal effect. The document specifies all the terms of the lease and its early termination. If you do not specify the conditions for early termination of the contract, all conditions will follow from the articles of the Civil code concerning the lease of residential premises. You may terminate the agreement in unilateral order. Your tenants also have a right to it. But according to article 610 of the civil code, either party is obliged to notify three months before the fact of termination of the contract. The landlord has the right to terminate the contract in unilateral order without notice, if tenants do not fulfill financial obligations to pay for use of the apartment, indecent behave, disturb the tranquility of others. And if they damage property, use the apartment for other purposes or passed housing sublease without first asking written permission of the lessor (article 450, 620, 619 of the civil code). According to these articles the contract can be terminated in a judicial order. On the basis of article 610 of the civil code, the lessor is entitled to terminate the contract in unilateral order and explain the reasons for his termination. It should be send to the tenants a notification letter with a list of contents for the three months to the end of the contract, return all paid ahead money and pay a penalty equal to the amount of rent for one month use of the dwelling. Each of the parties has the right to terminate the existing contract by mutual consent without notice (article 453, 450 of the civil code). For example, if tenants are forced to move to another town or got their own apartment. Mutual consent implies that the conditions of termination of the contract will also be agreed voluntarily.